The gift-giving holiday season is right around the corner. This time of year is always so special because it is the perfect opportunity for loved ones to shower each other with tokens of affection. But, it is also a good time to give back to your community or someone in need. From big to small, acts of kindness can really make a huge difference in someone’s day and even have a big impact on the upcoming year ahead. Here’s a thought: why not use your Metromile savings to pay it forward this holiday season? Many of our customers are saving an average of $500 a year by switching to pay-per-mile insurance. Already using your Metromile savings for something else? No big deal, you don’t have to buy something to bring holiday cheer to someone’s life. 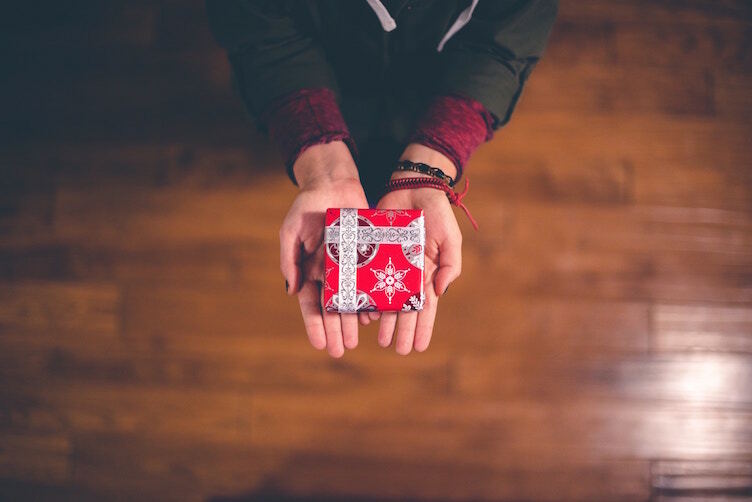 Here are our top tips for paying it forward this holiday season. 1. Donate old items that you don’t have use for anymore to those in need. This can includes clothes, shoes, furniture, books, kitchen supplies, electronics, blankets, school supplies, old movies, unused toiletries, or even loose change. There are many local donation centers that make it very easy to drop off items such as Goodwill, The Salvation Army, Dress for Success, or even local churches or shelters. 2. Put pen to paper and send a warm fuzzy letter. Write a nice card or letter to someone who is down on their luck or had a rough year, uplifting them. You can even send military cards to recognize and thank those who serve our country. Or anonymously leave an encouraging note in a random place for someone to find. Every small bit of positivity you put into this world helps. 3. Volunteer your time with the elderly. Many times elderly folks end up alone during the holiday season. Most assisted living homes have drop-in volunteer hours, so do some research in your area. You can always bring flowers to a retirement home, organize a group caroling session for those in the hospital or even just sit and spend time playing games or reading with them. Programs like Meals on Wheels or Create the Good are a great place to start. 4. If you are shopping, shop for gifts that give back. There are many amazing companies out there that will donate a percentage of the total cost of items to charities. For every product purchased, The Giving Keys, supports job creation for people transitioning out of homelessness. Proceeds from every S’well water bottle purchased goes towards efforts to provide clean water and sanitation facilities around the world. If you buy a pair of glasses through Warby Parker, they will donate to nonprofits who help to train people in developing countries to sell glasses and perform basic eye exams. Even Amazon donates 0.5% of your purchases to charitable organizations of your choice through the AmazonSmile program.There are so many companies that give back, do some research before you buy all your gifts to see how your gifts can help someone in need. 5. Keep it simple and do small acts of kindness. Buy the next person in line’s coffee or pay the toll for the driver behind you. Give a homeless person your doggie bag, so they can eat your leftovers. Leave extra coins at the laundromat, for someone who might be struggling. Bake cookies or bring doughnuts in for your co-workers, to bring a smile to their face. Pick up a piece of trash and throw it away to help clean up the environment. Give kudos or positive feedback to someone who provided you awesome service. Put your neighbor’s trash can back for them. Leave a generous tip to a waiter who gave you a great experience. All these acts can really go a long way to bring someone holiday cheer. We hope this small list of holiday cheer can help you pay it forward this season and make someone’s day! Metromile wishes everyone a heartwarming holiday season.